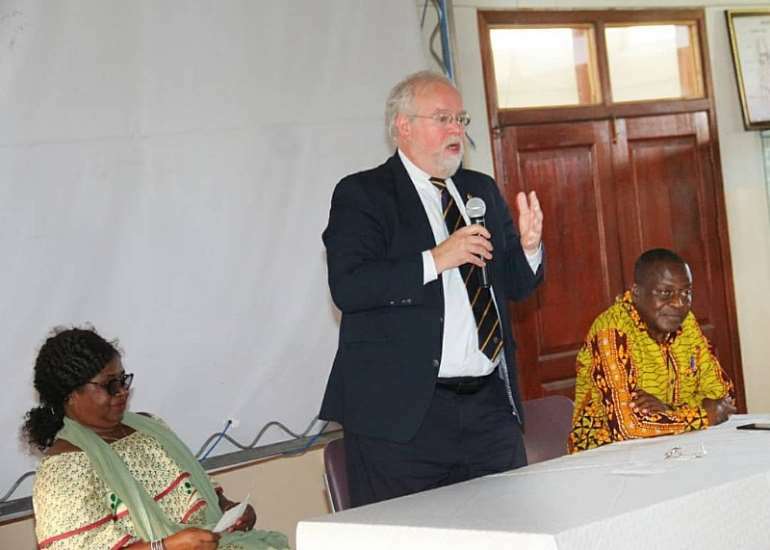 The Chief Mentor of the Family Health Medical School, Prof. Timothy Johnson, has urged students of Family Health University College, to strive for academic excellence and be guided by humility in seeking knowledge in their chosen fields. 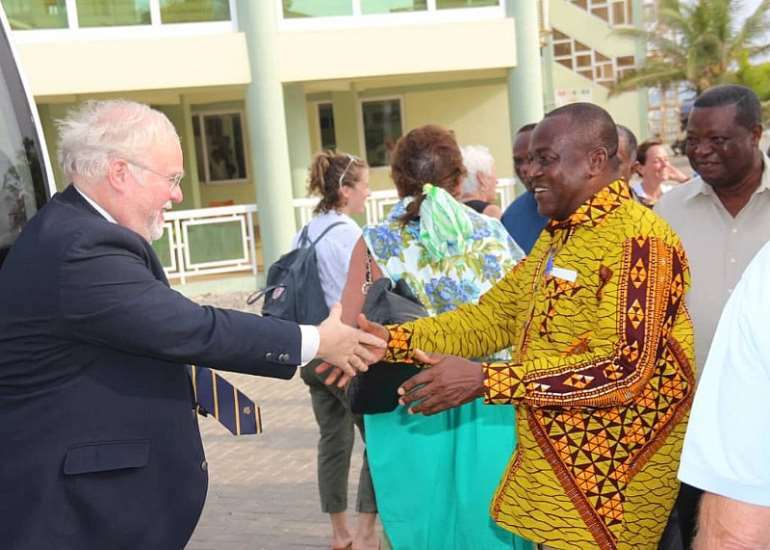 Prof. Timothy Johnson gave the advice when he led a nine-member delegation from the same University to visit the Family Health University College, opposite Kofi Annan Peacekeeping Training Centre at Teshie. A public lecture was held in honour of the delegation on the same day; and in attendance were Prof. E.Y Kwawukume, President and Founder of the Family Health University College, Prof. Richard Adanu, former Dean of the School of Public Health of the University of Ghana, Prof. Bisala Ekele, Chief Medical Director of the University of Abuja Teaching Hospital, Sir Wilson, Fellow of the West African Association of Physicians and Surgeons, Dr. Susu B. Kwawukume, Chief Medical Director of the Family Health Hospital, and Co-founder of the Family Health University College, Mrs. Rita Kaine, Registrar of the Family Health University College, some mentees of Prof. Timothy Johnson, as well as faculty, staff and students of the Family Health University College. Mentees of Prof. Timothy Johnson shared their experiences and talked about how the influence of their mentor impacted their lives positively. The President of the Students' Representative Council (SRC) of the Family Health Medical School, Nana Kwasi Fosu Opoku, in his address, appealed to Prof. Timothy Johnson to facilitate a partnership between the SRC of the University of Michigan, and that of the Family Health Medical School. 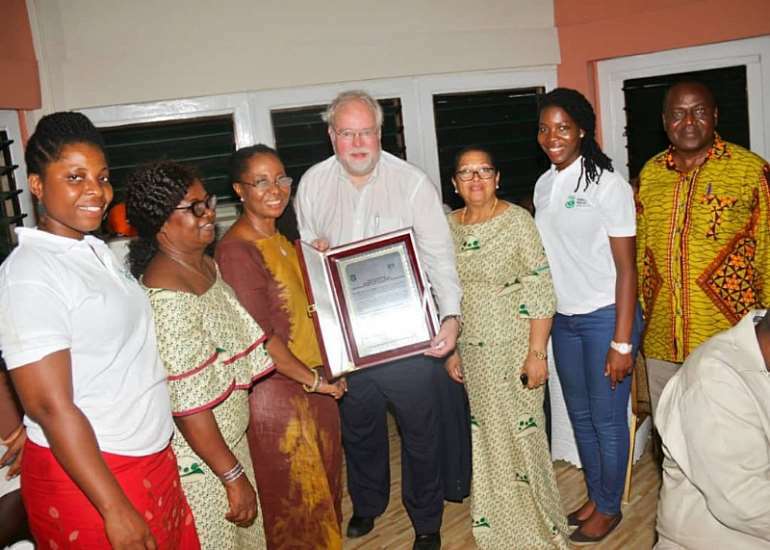 To round off the activities of the visit, the delegation was hosted to a lunch in the gardens of the sea front chalet of the Family Health University College. In attendance were the Heads of Departments, Members of the Faculty, some members of the Administrative Staff, the SRC Executives and class coordinators. Live Band music from the Peace Combo completed the beautiful ambiance with the visitors being entertained with Highlife music and Golden Tunes of old against the backdrop of the splashing waves of the Atlantic Ocean. 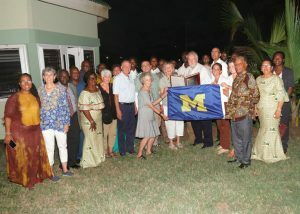 The University of Michigan is one of Family Health University College's strongest affiliates, and over the years, representatives from the institution have visited the Family Health University College to interact with the students and to contribute to further strengthen ties between both Institutions. “We look forward to welcoming more representatives from our other international affiliate institutions in the near future to strengthen the vision of the Family Health University College to be the prime centre for Professional Medical Education and Training in the Advancement of Human Health,” Prof. E.Y Kwawukume, President and Founder of the Family Health University College noted. The Family Health Medical School is Ghana's first private Medical School and teaching arm of the Family Health Hospital. The vision of FHMS is to be the prime centre for professional medical education. Family Health Medical School is affiliated to the University of Ghana and accredited by the National Accreditation Board. The School has national and international lecturers and professors, and has collaborations with medical schools in America, Europe and Asia.